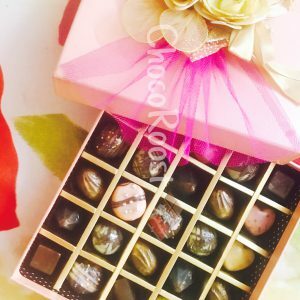 These assorted delicacies from ChocoRoost are the best things that could happen to you ! Indulge into ultimate luxury bites and explore our range of exotic flavoursome cocoa in varied ganache and truffles for delicious gifting, luxury hampers and more. From birthdays or sweet countdowns to anniversaries and thanks giving- these make the perfect gift. Chocolates reimagined in nibbles and crumbs.